Legalizing marijuana introduces greater risk. Legalizing marijuana expands its use. And that widens the risk potential of on-the-road and on-the-job accidents. Using all the information I could find – including direct queries to state workers’ comp funds – my article offers insight into what I see as an emerging risk. Since more states are liberalizing their marijuana laws, we can expect greater use of the drug. Studies are already showing this to be true. And unfortunately, too many of those using the THC-high-inducing part of the plant are not staying home. Rather, they are taking to the roads and going to work cognitively impaired, even those in dangerous occupations. To make matters worse, too many Americans believe that driving while high is less dangerous than driving while under the influence of alcohol. Some research is showing that marijuana-related auto accidents are going up while alcohol-related incidents are declining. That’s not exactly progress when any impairment is bad news. Legalizing marijuana a growing public hazard to be sure. The insurance industry, however, is in the unique position to monitor the impact from a public safety perspective. Insurers can also reveal pot’s impact on accident frequency and costs. On the job, anecdotal evidence of the impact of marijuana impairment still drives conventional wisdom. The workers’ compensation insurance industry needs to start researching the impact of marijuana on workplace safety and to realize the effects on return to work. Groups like the Workers’ Compensation Research Institute helped sound the alarm of the impact of opioids on injured workers long before it became public knowledge. The same can happen for marijuana. I know. It’s illegal and therefore cannot be researched. But there has to be something that can be done. Legalizing marijuana is only possible because the once-well-believed downsides of the drug are being drowned by those extolling its untold benefits. What was once conventional wisdom is now debatable. Thought pot was addictive? Marijuana, advocates say, is not addictive — at least not physically — and it can help break opioid addiction. I would argue psychological addiction can be pretty tough to tackle. It is tough to know what to believe. The marijuana conversation has become too hazy, allowing legalization to proceed at a faster pace. It’s interesting that a reporter for the New Yorker, after looking at some of the same evidence as I did, also expresses caution for different reasons. The marijuana conversation is muddied for another reason. Legalizing marijuana means different things to different people. 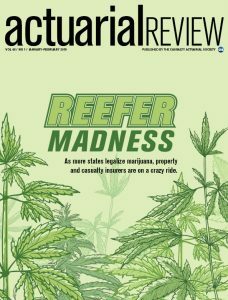 While some insist that its medicinal qualities make the drug worthwhile, others think medical marijuana was a mere entry point for recreational use. It appears that way. States begin with legalizing marijuana for medical purposes even though medical efficacy is yet to be proven. This is largely due to federal restrictions on pot, which make it virtually impossible to give it the clinical gold standard research that builds the drug’s credibility. As one source says, medical marijuana is not yet offering a remedy unavailable from other drugs. And once pot transitions from medical to recreational use, people don’t care much about getting doctor’s orders. …there is precious little we know for sure about cannabis. By the way, the FEDs do make a compelling case for it. According to the U.S. Health and Human Services’ review on marijuana, pot’s potential benefits do not outweigh the risks. Legalizing marijuana should reveal whether the downsides of marijuana will be worth the upsides. That may or may not change public attitudes. Americans are more open to marijuana than ever. Friends tell me “it is just pot” though it is much more potent than 30 years ago. While open-minded to pot’s positive outcomes, I cannot escape the realities before me. My Godson’s life is being destroyed right now because he believed the online messages that marijuana was harmless. Once he got high, was busted and removed from the drugs and his friends, he started trying other drugs and alcohol. His high school career has been disrupted. His immediate future is uncertain. My exploration of marijuana and insurance is not over. Currently, I am working on a piece for another publication that covers the impressive growth of the cannabis industry and the developing marijuana-related commercial insurance market. Stay tuned. Meanwhile, thanks to my extensive web activity into the subject of marijuana, yours truly is being subjected to cannabis product ads and videos on her Facebook news feed. An occupational hazard? Could be. It’s kind of creepy when online searching leads directly to my inbox. The marketing emails about CBD oil and pot gummies are very misleading. Thanks to my article, I am better informed. I hope you’ll check out my Actuarial Review article. Let me know what you think!